Karan Johar should really up the secrecy surrounding the script of Ae Dil Hai Mushkil, his directorial comeback film. “Anushka and Fawad are from Karachi, who meet each other in a foreign country. Fawad is a DJ while Anushka comes from a nawabi family." 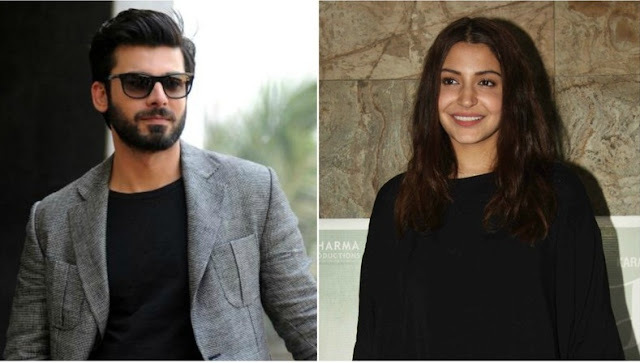 "The two fall in love abroad but once they come back to Karachi and Fawad approaches Anushka’s family to ask for her hand, he is ridiculed for belonging to a lower class… a bhand (jester or entertainer) by profession, and sent away… A dejected Anushka leaves her home too”. “You will have to watch the film to see whether they are united," added the source. We wouldn't know it from Fawad's swoon-worthy appearance at the Grazia Young Fashion Awards, but he was recently shooting in Rajasthan with Anushka and Ranbir Kapoor for a Holi sequence and song. Ae Dil Hai Mushkil comes out on December 25. Khurram Zia Khan is fond of writing and so far wrote articles on various topics. I try to watch most of the TV talk shows and also read newspapers columns. All this help me in forming my own independent opinion about various national & international issues.